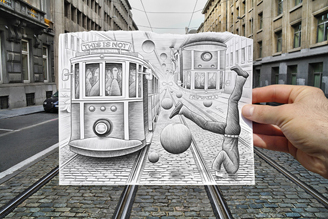 Ben Heine Art 18 is a part of his series "Pencil Vs Camera". This work of fantasy transforms a crowd of people experiencing an array of emotions into identical figures with emoji smiley faces instead of heads. 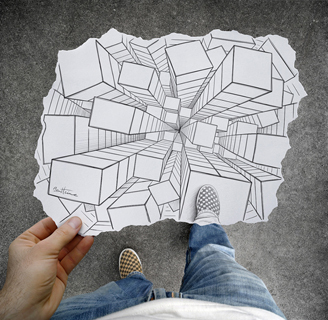 Ben Heine seamlessly merges the drawing with the photograph through the architecture, combining fantasy with reality. This piece is composed using black and white photography.